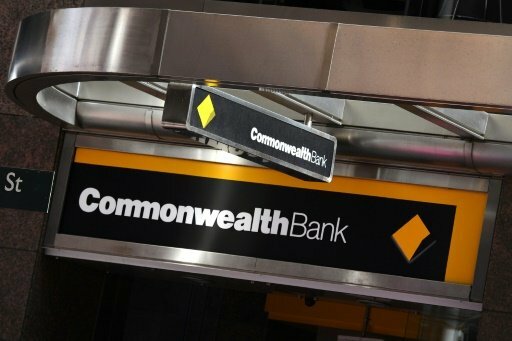 SYDNEY - Commonwealth Bank of Australia was hit on Tuesday with potentially Australia’s biggest class-action lawsuit over a money-laundering scandal that has already smashed its share price and exposed it to billions of dollars in fines. Litigation financier IMF Bentham Ltd said it would fund the lawsuit against Australia’s biggest bank, accusing it of making false and misleading statements and failing to disclose breaches of anti-money laundering rules for years. A second lawsuit against the A$128 billion ($102 billion) lender, on top of one filed on Aug 3. by financial intelligence agency AUSTRAC alleging breaches of the Anti-Money Laundering and Counter-Terrorism Financing Act, is fuelling investor concerns that the scandal may still have more shocks in store. “The market has priced into the fact that there is uncertainty in a negative way,” said James McGlew, executive director of corporate stockbroking at Argonaut Ltd. In addition to the two civil suits, CBA is being investigated by Australia’s banking and corporate regulators over the suspicious transfers cited in the AUSTRAC claim. Investors are also worried that foreign regulators will pick up the case, as some of the money was sent offshore. IMF will bankroll the class action on behalf of all CBA shareholders who bought stock between Aug. 17, 2015 and Aug. 3, 2017, seeking damages for the premium paid for the shares as the material information remained hidden, IMF director Hugh McLernon told Reuters on Tuesday. CBA has about 800,000 retail and 4 million indirect Australian shareholders, according to its 2017 annual report. Shares in the bank were down 0.31 percent on Tuesday, against a 0.29 percent fall in the wider market. The shares have dropped 12 percent since the scandal erupted last month, wiping roughly A$17 billion ($13.55 billion) off the bank’s market value, even though it reported its eight consecutive record cash profit on Aug. 9. CBA announced a board shake-up on Monday but the move failed to appease investors, with the stock touching 10-month lows before closing down 1.42 percent. Three of its nine non-executive directors will leave over the next 12 months, and Robert Whitfield, a former head of institutional banking at rival Westpac Banking Corp, was appointed as an independent non-executive director. CBA announced on Aug. 14 that Chief Executive Officer Ian Narev would leave by mid-2018, his almost 7-year tenure marred by scandals that have added to calls for a far-reaching judicial inquiry into Australia’s banking system more broadly. The bank is now looking for a new CEO amid one of the darkest periods in its 106-year history, with some analysts saying Whitfield could be in the running. In the first day of hearings on the AUSTRAC case on Monday, the bank indicated it would not dispute the watchdog’s allegation that it processed tens of thousands of illicit transfers amounting to A$624.7 million ($498.64 million) from 2012 to 2015. Rather, the court heard it would contest its level of responsibility, having previously blamed a coding error for most of the breaches. CBA did not respond to requests for comment.